Adobe Flash Player 11 APK for Android is Flash Player for Android devices. Since the advent of HTML5, Flash content is becoming less attractive on the Internet. But even now there are a huge number of websites, services and applications which use Flash. But Google is going away from Flash based content. 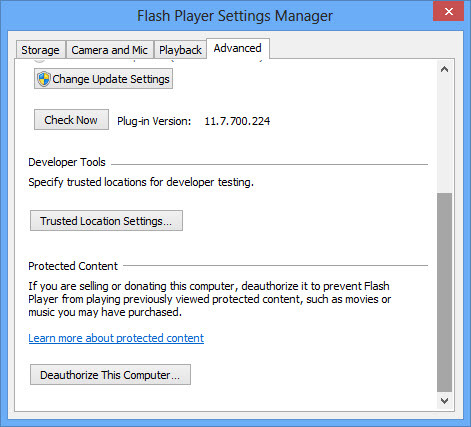 As a result, now you will not find Flash Player in Google Play store. With Adobe Flash Player APK for Android, the user will be able to run Flash applications and sites on the Android browser without any problems. Since some of the users need Flash for opening their favorite sites, Flash Player can now be installed on their Android devices. Please note that this Flash Player can cause compatibility problems with your Android device so you should always install it with care making sure that you have all your data backup before making changes to the device.